Fees: $60 » Class Fee Material cost 30 and upward as students will be picking their own bouquets for the pendants. 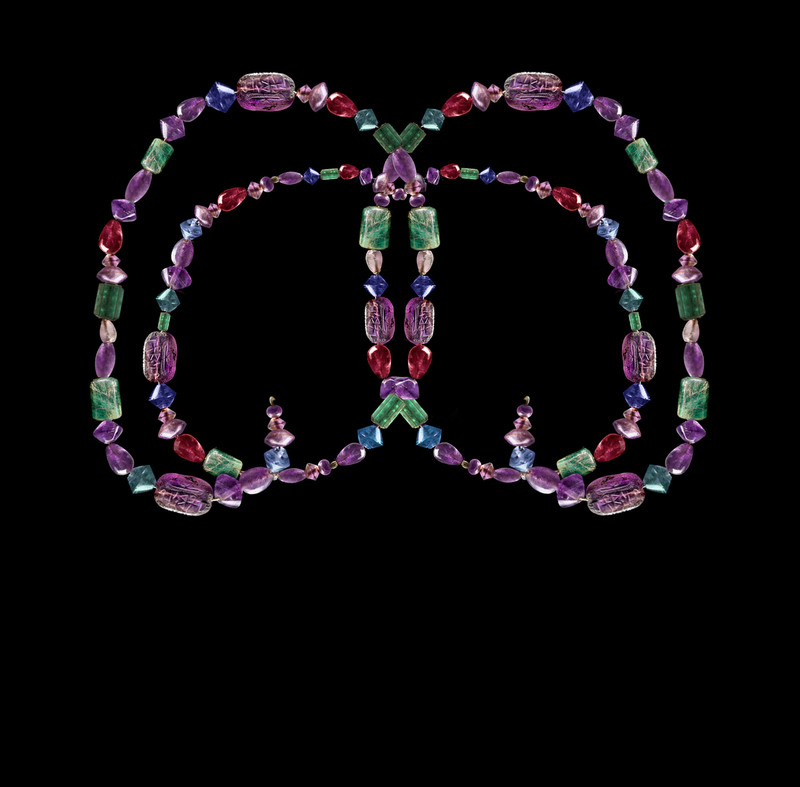 Description of classes: students of all skill level will learn and create one of a kind glass flower garland necklaces. 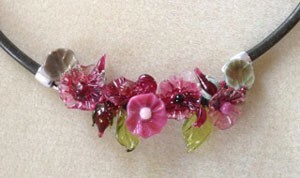 The glass flowers, leaves, buds and bees are hand made by the instructor. Students will be instructed thru basic wire work and cold connects, followed by a wee bit of magic.